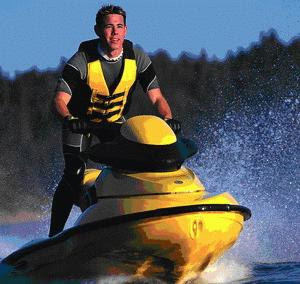 For anyone operating a powered vessel or jet ski. The Canadian Discover Boating program has released an Economic Impact Study of Recreational Boating in Canada 2006. Canada's recreational boating had a $26.8 billion impact on Canada's economy in 2006 - in jobs, sales, travel, repairs, taxes, tourism revenues and consumer spending. 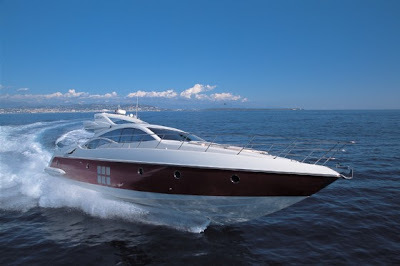 Canadian boaters spent C$15.6 billion on boat and engine sales, accessories and other boating expenses in 2006. The report also indicates 373,606 jobs and 10% of Canada's tourist dollars come from recreational boating. Cruising between ports can be made in short trips by sail or by power with the furthest ports being 25 nautical miles apart (Meaford on the west and Wasaga Beach on the east). Collingwood and Thornbury (only 10 nautical miles apart on land) are a 13 nautical mile trip apart by boat. A detour around the Mary Ward Ledges must be taken when traveling east from Thornbury as these shoals stick out 2.5 nautical miles. Thanks to the new Nottawasaga Bay Chart #2283, navigating in amongst the shoals is easier for the brave. Christian Island, Hope & Beckwith is a regular weekend retreat for boaters out of Nottawasaga Bay located about 18 nautical miles northeast of Thornbury. Keep in mind, it is also a regular weekend retreat for boaters from the Midland /Penetang area. Western Shore /Bruce Peninsula is only a good day trip by sail away from Thornbury including Owen Sound, Wiarton, and Lion's Head. This side of the Bay is mainly deep water with fewer safe havens, however there are fewer boaters here and the scenery is spectacular.The water is clean and you can usually swim in 70o water from mid July to mid September.